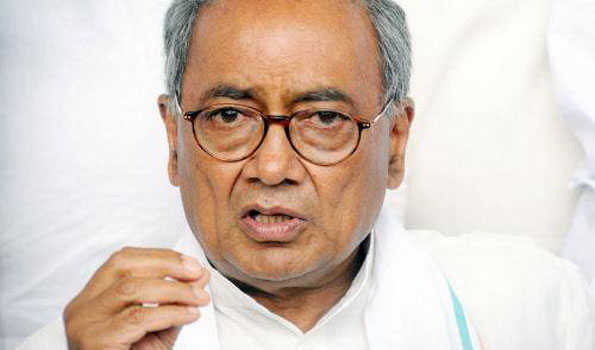 New Delhi: The Congress has fielded former Uttarakhand Chief Minister Harish Rawat from Nainital-Udhamsingh Nagar, while a new entrant Manish Khanduri will contest from Garhwal Lok Sabha seat and former Madhya Pradesh chief minister Digvijay singh from Bhopal. According to the eighth list of Lok Sabha candidates released by the congress, party leader in Lok Sabha Mallikarjun Kharge will contest from Gulbarga-SC (Karnataka ), industrialist Mahesh Pathak will fight from Mathura opposite Hema Malini of the BJP , former Union Minister M Veerappa Moily from Chikkballapur (Karnataka ) and former Maharashtra Chief minister Ashok Chavan from Nanded. Uttarakhand Congress President Pritam Singh will contest from Tehri Garhwal. Former Lok Sabha member Meenakshi Natarajan has been fielded from Mandsour in Madhya Pradesh, while sitting MP Kantilal Bhuria will be in the fray from Ratlam. Earlier there was speculation that Haryanvi singer Sapna Choudhary, who joined the Congress on Saturday would be fielded from the Mathura seat. Senior Congress leader Rashid Alvi will contest from Amroha in UP, while Kavita Singh, from the Chhattarpur royal family, will contest the Khajuraho seat in Madhya Pradesh. Former Union Minister M Veerappa Moily has been fielded from Chikkballapur (Karnataka) and former Maharashtra Chief minister Ashok Chavan from Nanded. The list, cleared by the Central election committee of the congress and released by AICC General secretary Mukul Wasnik, includes names of 18 candidates from Karnataka, nine from Madhya Pradesh, one from Maharashtra, two from Manipur, five from Uttarakhand and three from Uttar Pradesh. With Saturday s list, the party has declared its 47 candidates for Uttar Pradesh, four for Gujarat, 18 for Maharashtra, 10 seats in Assam, two from Meghalaya, one each from Nagaland , Sikkim , Andaman and Nicobar Islands , Lakshwadeep and Pudduchery, 17 from Telangana, 14 from Kerala, 25 candidates from Andhra Pradesh, 18 candidates from Karnataka, nine from Madhya Pradesh, eight from Tamil Nadu, eight from Odisha, 11 from West Bengal , two seats of Arunachal Pradesh, three seats from Jammu and Kashmir, two from Tripura nine seats from Chhattisgarh, two from Manipur and all five from Uttarakhand.